Cradle Mountain. 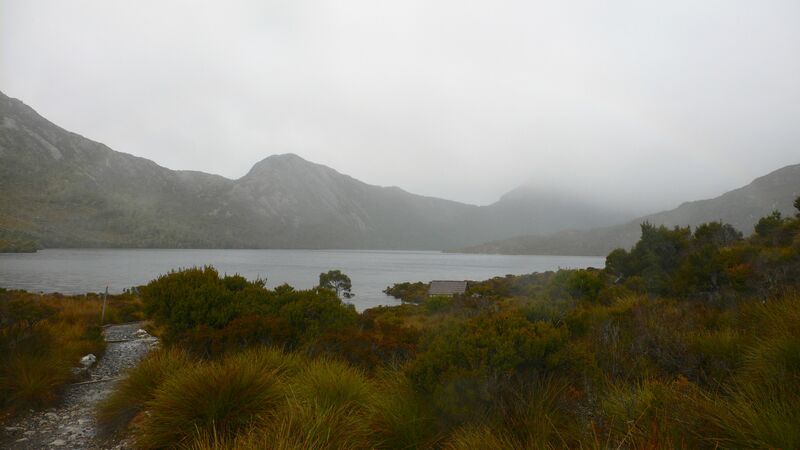 Situated at the northern end of the Cradle Mountain – Lake St Clair National Park, it’s an icon of the state. Famous for its distinctive outline, its image is almost guaranteed to be plastered everywhere Tasmania is promoted – in fact, it appears at the top of all of my pages (whether they’re about Tasmania or not!). To get there from Launceston go via Sheffield and head west along the C136 and link up to the C132, past the place Eric Bana crashed is car during the Targa Tasmania (have you seen ‘Love the Beast’? ), across the Forth River (don’t worry; there’s a bridge) and over the high plains. From Hobart go west across to Lake St Clair, on to Queenstown, then head north and drive in from Roseberry (be aware that’s quite a long drive to do in one trip, and I strongly recommend that you have a full petrol tank before leaving Hobart). They’re not the only options, but no matter which route you take to get there, the drive to Cradle Mountain is a pretty good drive! Once you’ve decided to visit, do try to allow a few days there to give yourselves the best chance of seeing the mountain unobscured by clouds. Be warned though, if you visit in peak times you won’t just be paying peak prices, you’ll probably be fighting the crowds the whole time; to buy a Parks Pass, to get on the shuttle bus (you probably won’t be allowed to drive into the park), to walk in peace around the lake, etc. In peak season we’ve been told an average of 9,000 people visit Dove Lake per day. “Inconvenient” is how we’d diplomatically describe the above situation. Another note (warning) is to please remember that this is an alpine area (that’s why there are no trees on the mountain tops.) The elevation at Dove Lake is 900m. The weather can change very quickly, and it can be cold and wet at any time of the year. I’m not sure it’s ever not-wet underfoot! That’s why if you want to see the mountain unclouded, you may have to wait a couple of days. On Stephen’s first visit he was there almost a week and only got to see the mountain on the day he left! There’s a 60 Great Short Walks app that you can download (free!) to your iPhone/iPad from iTunes, or you can pick up a book or pamphlet from a Tasmanian Parks and Wildlife Service centre (while you’re buying your Parks Pass) for information on the more popular walks in the park and others around the state. There are great short walks all over the state! Once you’ve donned your walking gear, you’ll find the shorter/day walks are well marked and, due to the nature of the environment, you’re not likely to get lost if you stay on the path*. Please stay on the path no matter what the track is like – some of the plants in this environment are very slow growers and very sensitive to change. They don’t cope well with being trampled. *Ensure you check expected weather conditions before you head off as the weather in alpine environments change very quickly – you wouldn’t want to be caught out in a blizzard. They can make following the path a little bit harder. Outdoor shops like Paddy Palin and Bogong stock a good selection in Melbourne, and probably also in our other capital cities since this is a very popular National Park. The Tas Parks Visitor Centres will also have walk information. There are a few family friendly (not too sure about wheelchair-friendly) walks on the edge of the park. If you haven’t picked up a walking book, your host will know how to direct you to these. There are some short walks just for resort guests too, I believe. They range in estimated time to complete from 15-40min. The Dove Lake Circuit is one of the most popular walks in the National Park. It’s a relatively flat walk which leaves from (and returns to) the Dove Lake car park and you don’t need anything more than sneakers to walk it in (on your feet, at least). The path varies from coarse sand to dirt, small gravel, rock, and board walk. Of those, the boardwalk sections are probably my least favourite. Despite the chickenwire attached for grip, the potential for slipping is greater there than on the other surfaces. Allow 2hrs. If you want to avoid the queue to catch the shuttle bus into Dove Lake, a good walk that’s usually much less busy than most tracks in the park is the Cradle Valley Boardwalk from the park entrance (just behind the old Visitor Centre) to Ronny Creek car park. It’s not too challenging but it is 5.5km/2hrs each way. If you give up, I believe you can hail the bus from Snake Hill, about half way along. There’s not much to see or do at Ronny Creek car park, and the closest toilets are up the hill (not far) on the other side of the road near Waldheim Chalet, so take a look at that special piece of history while you’re there. From Waldheim Chalet you can either walk on to Dove Lake via Lake Lila, or further into the park if you’ve got plenty of energy, or back track to Ronny Creek and catch a shuttle bus from either place. Note: you can’t see Cradle Mountain from Waldheim or Ronny Creek. There are plenty of other walks, but I would strongly recommend that you wear proper bushwalking shoes or hiking boots. I’m hoping the ladies in the photo below were only planning to get out of the bus take a photo or two from the car park and come back again. That’s all they’re dressed for. Denim (i.e. cotton) once wet, stays wet – and cold, and heavy. As for the guy in the animal print outfit… well, who knows what he was thinking? So why am I emphasising appropriate clothing and footwear? Don’t most of my photos show lovely boardwalk so far? Yes, some of the paths have nice new boardwalk. But not necessarily the whole way. And the more people who walk on the vegetation on the sides of the path to avoid getting their improperly shod feet dirty or wet to avoid the mud, the bigger these muddy sections get. Please wear appropriate gear and stay on the path when walking in our National Parks. So – how deep do you reckon? And please carry drinking water; despite there being lots of water around, you shouldn’t drink untreated water from streams, pools or the lakes. If you properly prepared for your walk, then chances are you’ll enjoy being out in our National Parks that much more, no matter what the weather. The most famous, of course, is the Overland Track which is typically a 5-6 day hike from Waldheim Chalet to Lake St Clair. Fabulous, stunning, extraordinary, awesome – take your favourite adjective and apply it here. If, like us, camping isn’t something you’ve done before (well, perhaps not since you were a guide/scout) and you don’t feel like (re)starting now…good news! 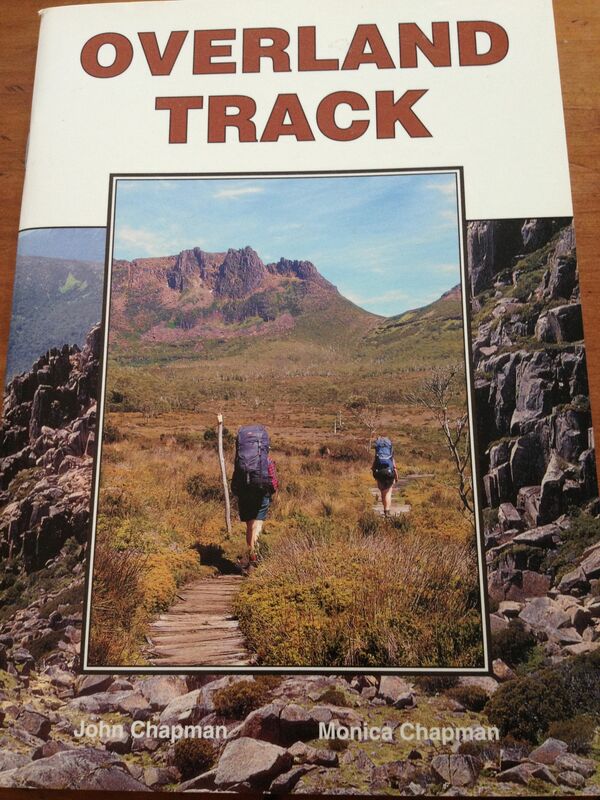 You can upgrade to the deluxe option and walk with Cradle Mountain Huts! – not having to carrying more than your clothes and basic toiletries means a relatively light pack. Located at Cradle Mountain Chateau (on Cradle Mountain Road, almost directly opposite the new Tas Parks Visitor Centre) the gallery is on the upper side of the car park. It costs (not sure how much) to have a look through the 10 room gallery, but there’s some great artwork there; mainly photography. As well as the Tasmanian Tiger Exhibition (educational and very moving), they have the best souvenir shop in the area, too. If you want to see these lovely creatures up close – and even get to touch one! – visit Devils @ Cradle. It’s about 2km closer to the park than Cradle Mountain Chateau, and less than 1km back down the road from Cradle Mountain Lodge, and is well sign-posted. While you’re there you’ll also get to see Spotted Tailed Quolls and Eastern Quolls which I thought was wonderful, too. You can also attend a night feeding show/tour, too – we’d like to make time for that next time we’re back. Once you’ve ticked these two places off the list, and you’ve done the walks you wanted to (and hopefully snapped a few great photos), your could relax by a fire with a red wine (or port, hot chocolate, or whatever) and a book. Maybe with some cheese and crackers (which you can buy from the shop which is cheaper than from the snack bar in the room). Or visit the day spa at Cradle Mountain Lodge, if that’s your kind of thing. This is the only place we’ve stayed in the area, and I have no hesitation in recommending it. The cabins are very comfortable, clean, well appointed. You have to walk (well, some people drive) to the main lodge for meals (although you can get take away from the Tavern – they don’t advertise that fact much!). Although it’s not far, you can freeze on the short journey in winter if you don’t rug up properly (probably why people drive). But stepping inside where it’s warm and defrosting by the fire is bliss! There are two eating options. The Tavern for lunch and casual dinners (there’s a TV screen there for people who can’t live without it), and the restaurant for breakfast and dinner. The restaurant has good menu and well cooked and presented meals. You can choose a two or three course option for a set price. Wine is extra, and is rather well marked up in price. (You can ask to have a look at the wine cellar even if you don’t do the wine & cheese tasting activity they do each afternoon.) Meals at the Tavern are more hearty and are priced per dish. There’s also the Waldheim Day Spa just behind the main lodge building. We’ve been once and it was nice, but they know how to charge! My tip is to take your togs and if you feel like a hot spa or sauna, then you can use these for a ‘small’ general entry fee. The view from the heated pool is magical. They have packages available but they all seemed to include facials, and we weren’t particularly interested. Not having stayed here I can only give general impressions. 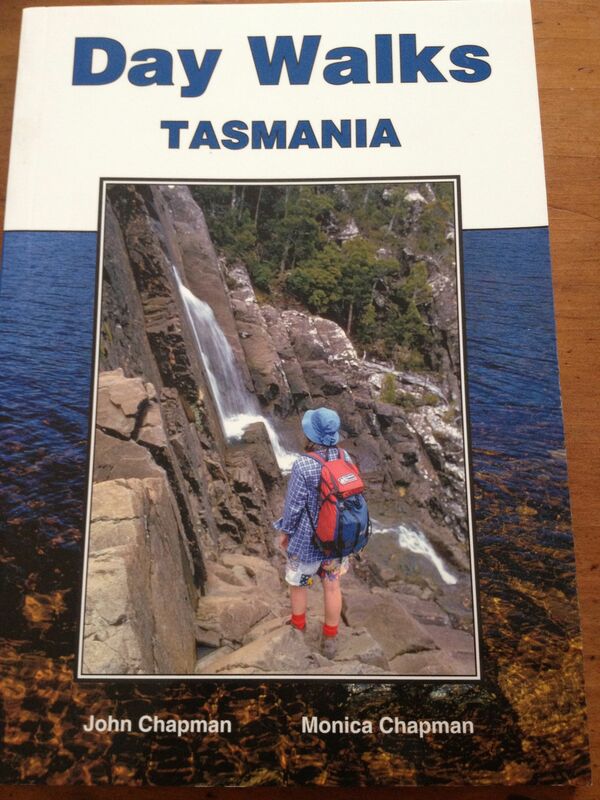 It’s part of the Pure Tasmania group, which may be of interest to you if you’re planning to visit their other places. I don’t think they have cabins. It’s a bit hard to tell from the front carpark. I get the impression that you get a suite or rooms in a building wing. The restaurant looks nice enough. We enquired about having dinner there on East Saturday but were told they were booked out, so I can’t even comment about that. It is closer to the new visitor centre than Cradle Mountain Lodge is, but you’d still probably want to drive there to catch the shuttle bus. There are also other smaller, privately owned cabins and a Big4 camping park to stay along the road; nowhere as large or well established and offering the same number/quality facilities and services as Cradle Mountain Lodge/Chateau, though.